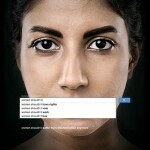 A series of ads, developed as a creative idea for UN Women by Memac Ogilvy & Mather Dubai, uses genuine Google searches to reveal the widespread prevalence of sexism and discrimination against women. 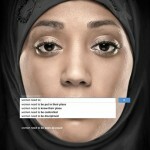 Based on searches dated 9 March, 2013 the ads expose negative sentiments ranging from stereotyping as well as outright denial of women’s rights. 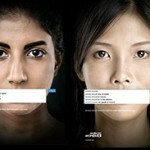 “When we came across these searches, we were shocked by how negative they were and decided we had to do something with them,” says Christopher Hunt, Art Director of the creative team. 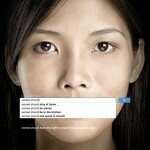 The idea developed places the text of the Google searches over the mouths of women portraits, as if to silence their voices.